Sunseeker’s 28M has been making good headway on the order front, with the yard saying that one will be rolling off the production line every five weeks. It’s not hard to see why it has captured the imagination of yacht owners, with the huge expanse of main salon and folding balcony giving you the notion that you are on a much bigger contender. There’s a similar impression below, where the headroom in the guest areas seems unusually generous. 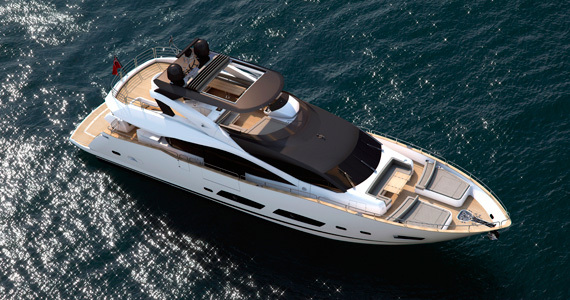 The owner gets a full-beam cabin, with a twin and a double aft of this, and a VIP suite forward. Outside, the extensive use of carbon – for mullions and for the hardtop – is a stylish solution, but also one that saves weight. 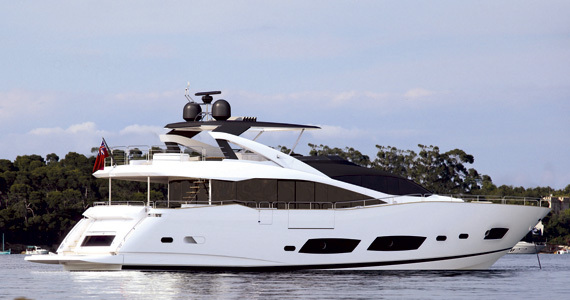 With twin CATs or MTUs, the 28M should reach 29 knots. With the Sunseeker 155 in production, it’s good to see the yard pulling out all the stops down the range to attract the next generation of superyacht owner.